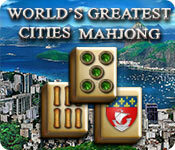 World's Greatest Cities Mahjong is rated 4.3 out of 5 by 25. 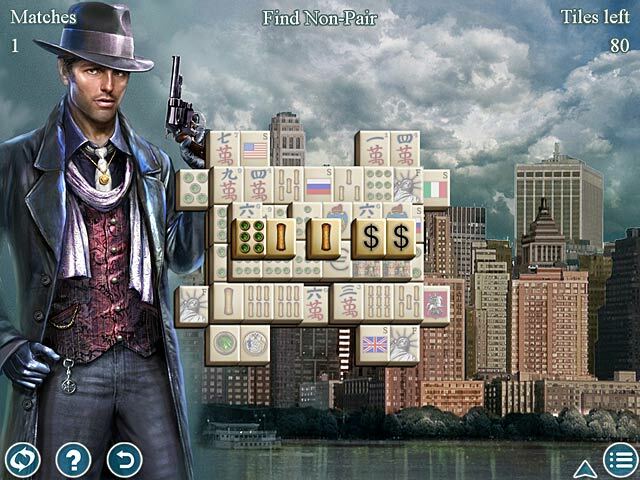 Rated 5 out of 5 by hwscott from Mahjong World's Greatest Cities I enjoyed playing this game. It is just challenging enough to not quit in the middle of the games. Rated 5 out of 5 by pvsquare from From a HOG and adventure player In the past I only buy HOG and adventure games, but I tried this Mahjong game and really like it. It is fun and a change of pace for me. I will keep this game on my desktop. Good job BFG. Rated 5 out of 5 by sereneorchid from Interesting mahjong variations, beautiful tiles I had kind of given up on trying mahjong games for awhile because they all seemed to be the same. But I'm so glad I didn't overlook this one with its interesting variations on mahjong, including "finding the tile without a pair," "mahjong solitaire," and "matching across a wall." They were easy to learn (in seconds), and so much fun to play compared to straight mahjong level after level. 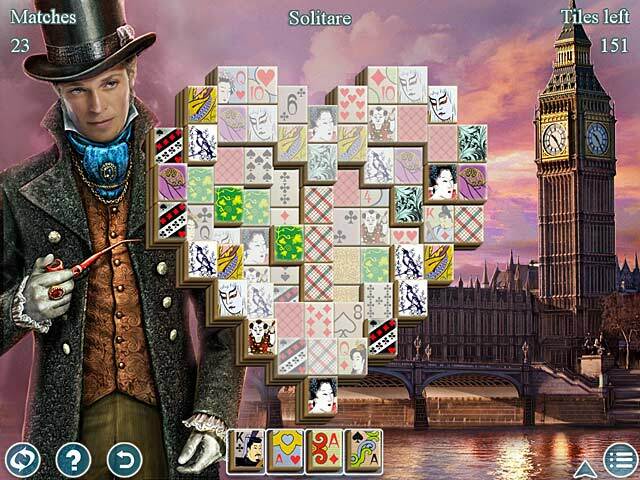 And I really loved the beautiful mahjong tiles, a mix of traditional and contemporary graphics. If you've played other mahjong games, you know that good-looking tiles aren't easy to find. If you like mahjong, don't pass this by. If you haven't tried mahjong, this is a great game for your first experience. Rated 5 out of 5 by chrisdr from great mahjong this game keeps you interested in what is going to happen next. i love all the different puzzles so you keep on coming back for more. great game. must buy. Rated 5 out of 5 by pses from favorite Mahjong Game! Not very many Mahjong games attract me, but this one did. Many are at least engaging, but can seem boring after a round or two; the only variety a different setup. World's Greatest Citites Mahjong is different! 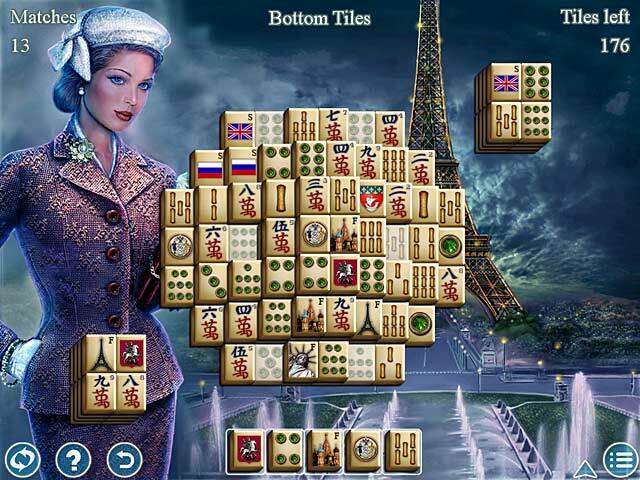 Greatest cities are backgrounds, but the meat of the game - the different rounds and levels - are on a variety of interesting and fresh Mahjong games, like solitaire, the great wall, the non-matching tile, and so on in addition to a variety of setups. The grahics are excellent; so is the music. If you like Mahjong and are looking for something fresh with more challenge, try this one! Rated 5 out of 5 by Margo5645 from Margo's review I've played every Mahjong there is and this is one of the best, with plenty of variety and challenges. Rated 5 out of 5 by LilBittt from Very challenging! Loved it, was a little intimidated at the beginning, but love the variation and graphics!!!!! Rated 5 out of 5 by casper326 from Great Mahjong It was a great game with a lot of different twists and levels not just your average Mahjong game it keep you wanting to go to the next level love it keep them coming. Rated 5 out of 5 by lfalco803 from Interesting Mahjong Interesting mix of different boards to conquer. Music is relaxing, good graphics. Kept my interest. Each level was different challenges.